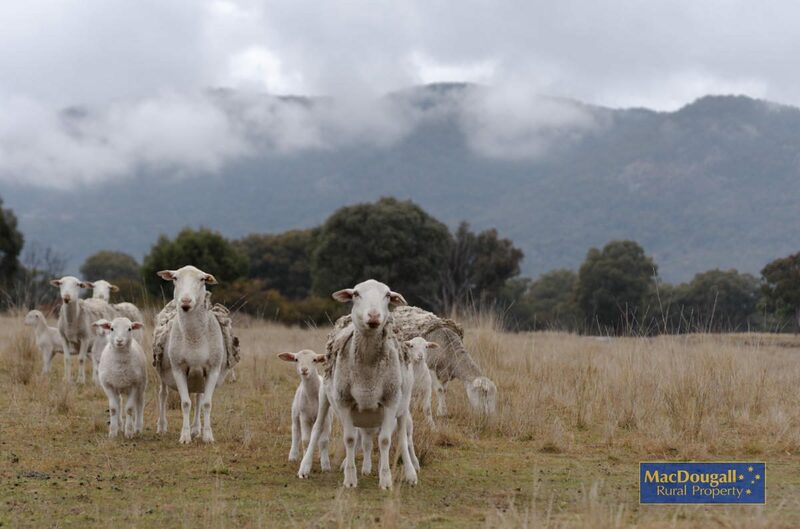 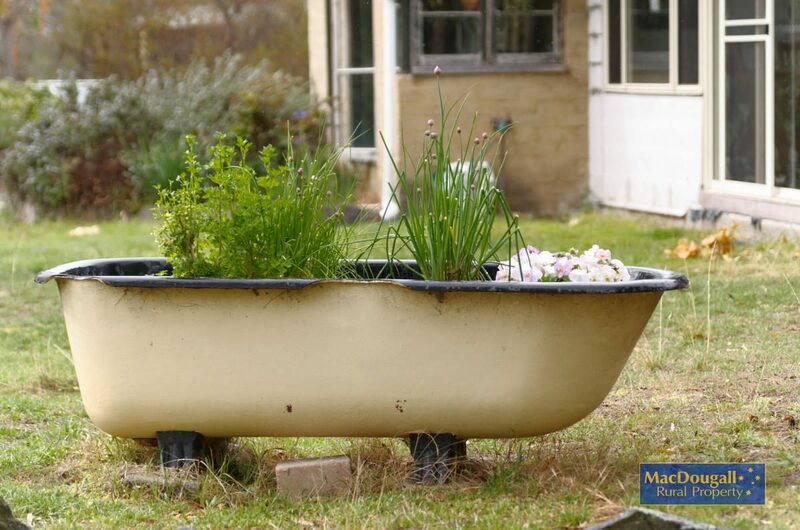 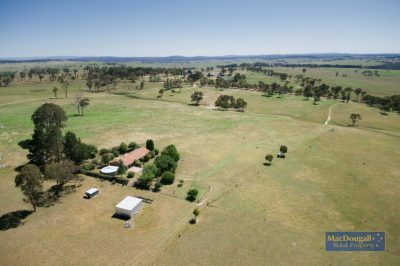 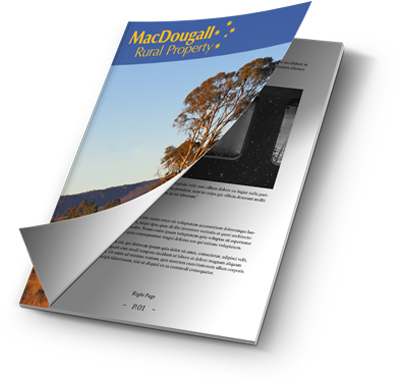 Located 27 kilometres north of the town of Uralla and 31 west of the university city of Armidale, “The Bundoo” is the ultimate lifestyle farm for the outdoor minded. 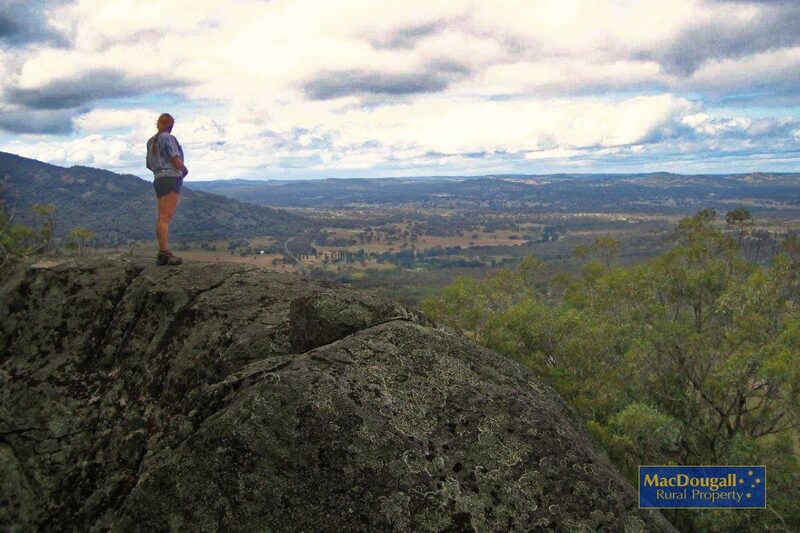 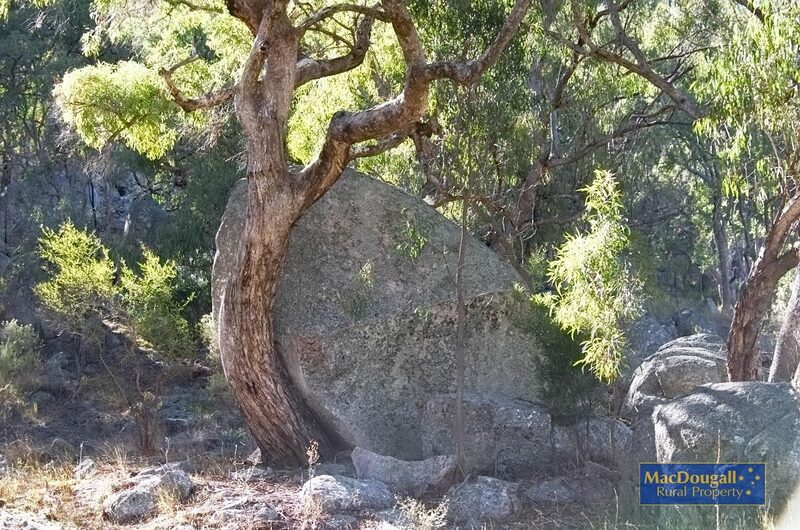 In addition to 60 hectares of arable grazing / cropping fine granite country, “The Bundoo” is endowed with a rugged landscape that lends itself to adventure that will be enjoyed by all who appreciate the outdoors. 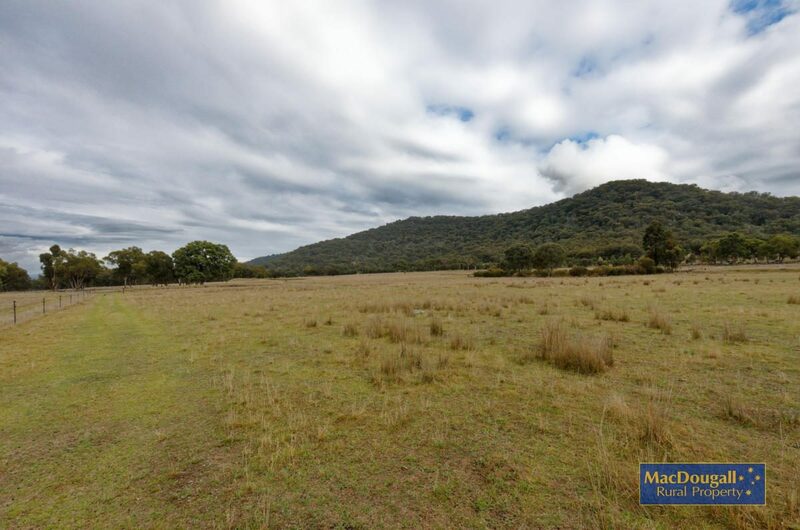 The names say it all; accessed via Thunderbolts Way, the property is home to Saddleback Mountain, Brown Mountain, Chinamans Hill and Bees Nest Gully. 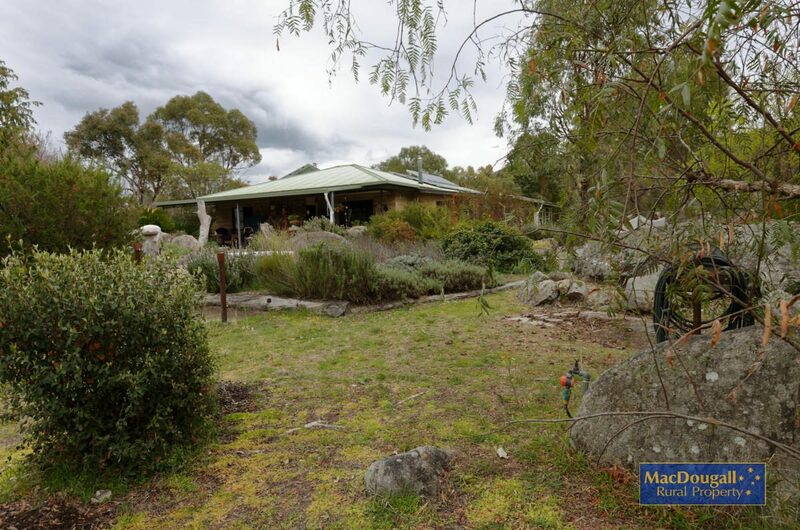 The homestead on “The Bundoo” is set well back from the main road, set among the stringybark and box trees. 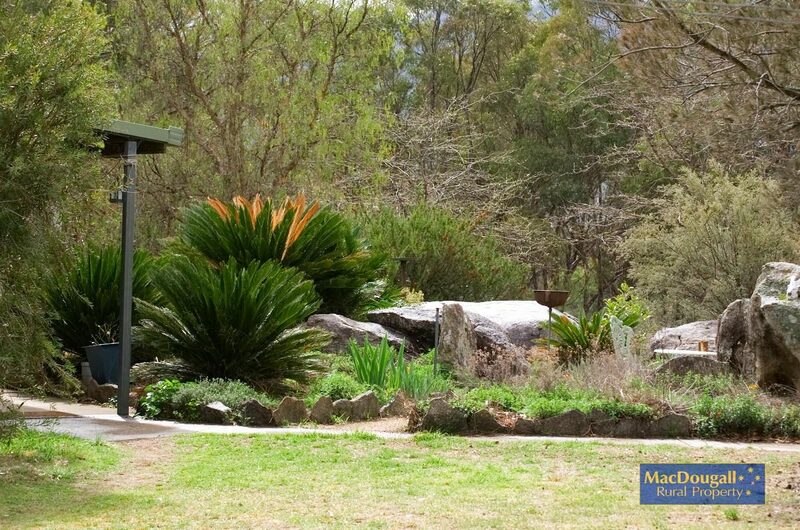 The garden is a clever blend of native and exotic plantings, complemented by a bit of exposed granite. 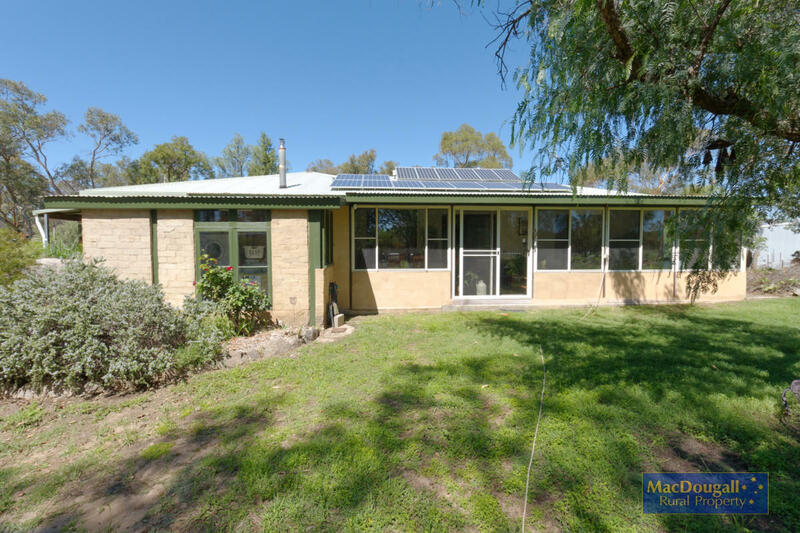 Constructed of double concrete brick on a concrete slab with a Hebel brick and rammed earth extension, the insulation properties ward off summer heat and New England winter chills. 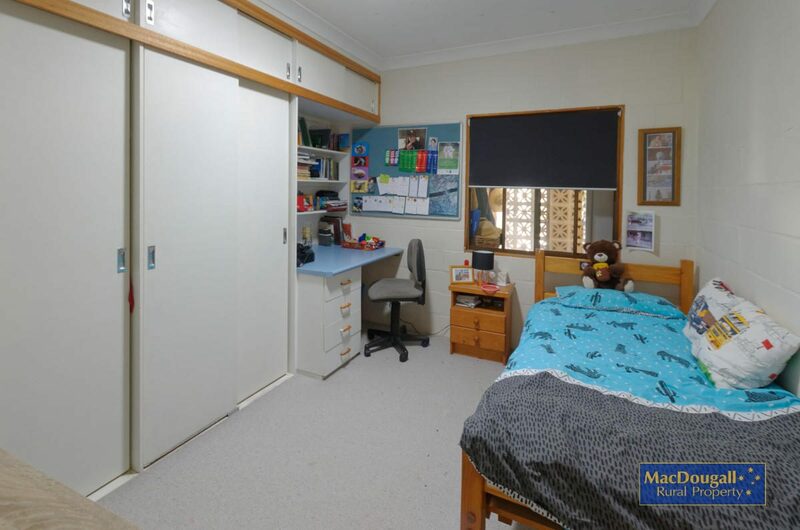 There are four bedrooms plus an office. 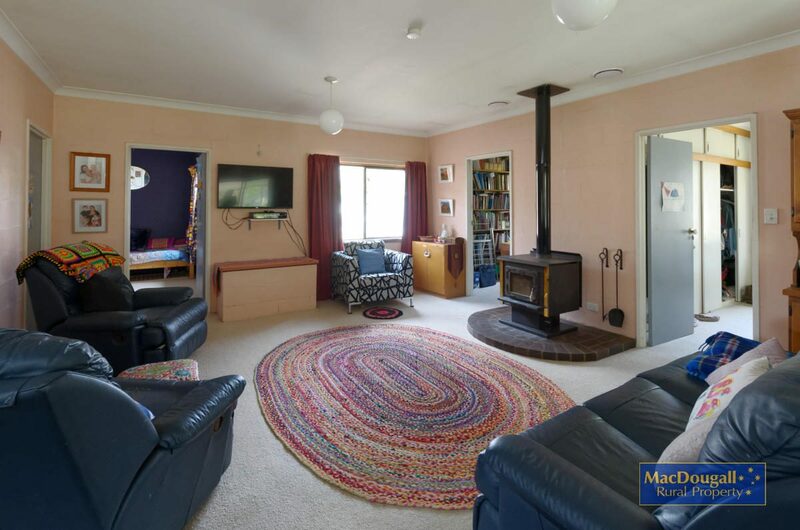 A six kilowatt solar panel array offsets energy costs and the wood heater in the main living area is air ducted from outside for efficiency and also inside to a bedroom. 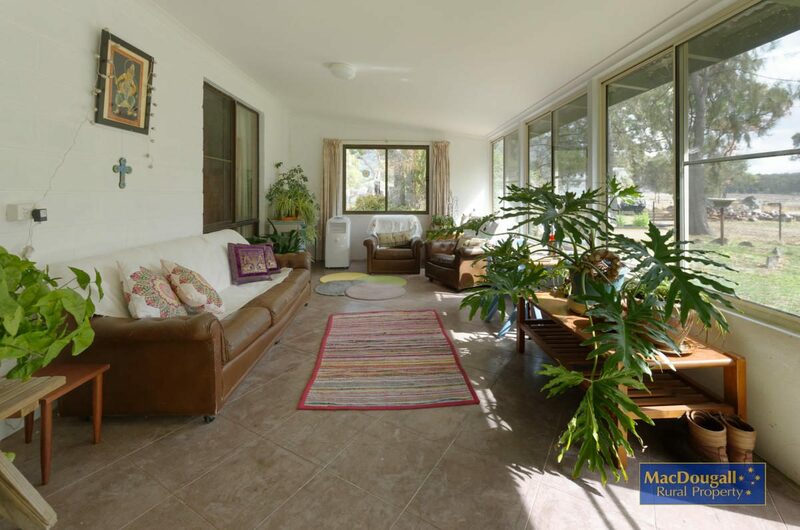 An enclosed veranda and side patio add to the generous living area inside. 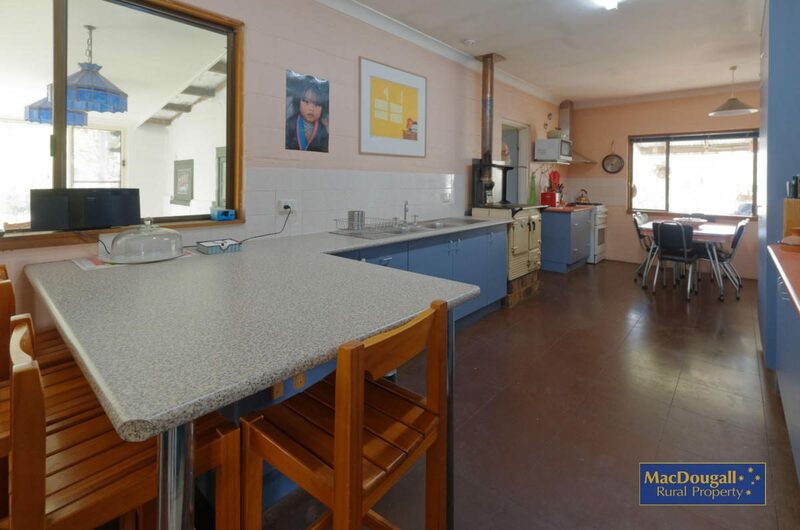 The kitchen has loads of cupboard space and two stoves, including a slow combustion stove. 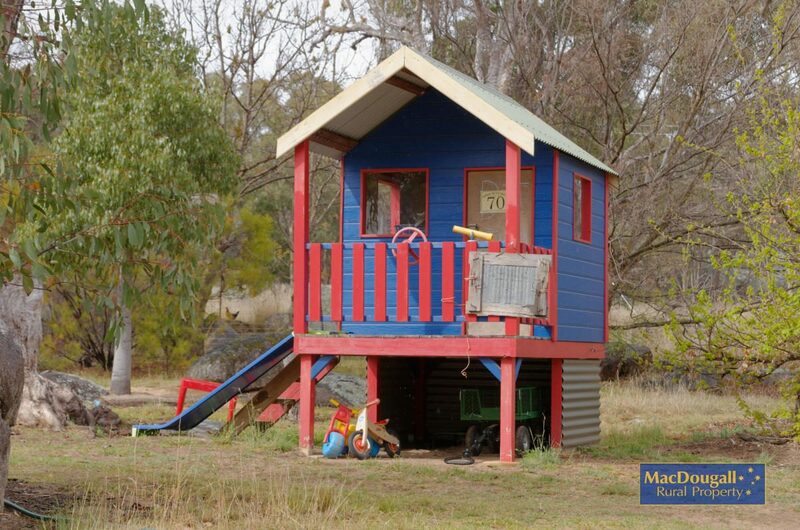 Outside is a wonderful cubby house for the younger family members, and a chook run for good measure. 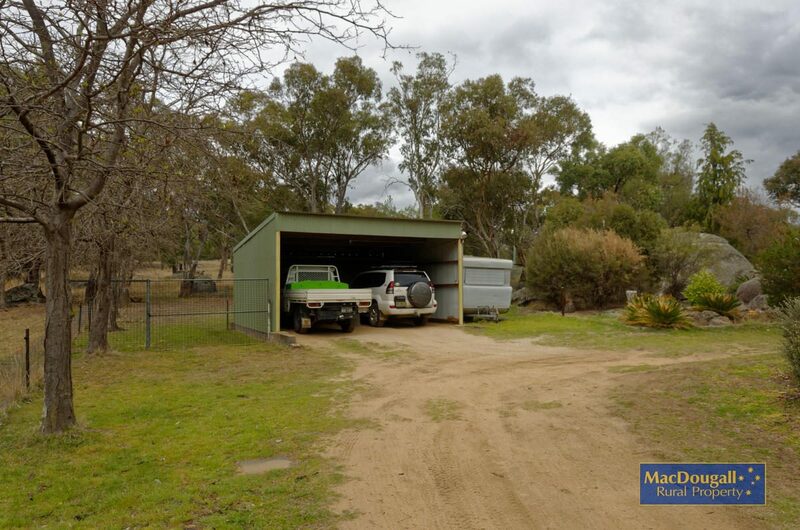 There is no shortage of sheds on “The Bundoo”. 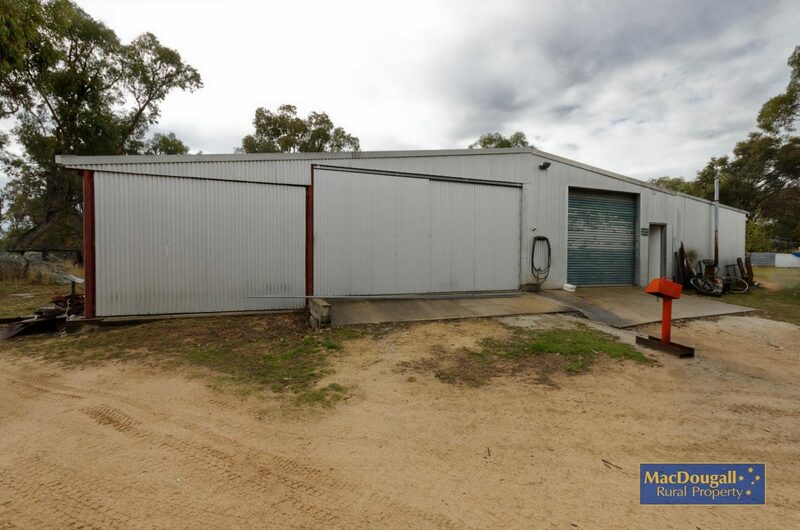 In addition to the standard two-bay steel garage, there is a 10 x 20 m fully enclosed and lockable concrete floored steel shed, a 10 x 30 m open sided shed and various other sheds and outbuildings. 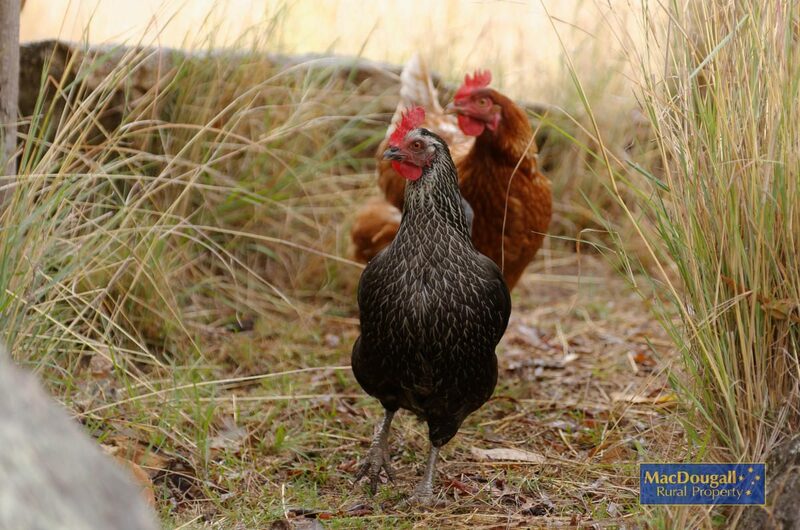 These are set behind the homestead so while not far away, they are not “in your face”. 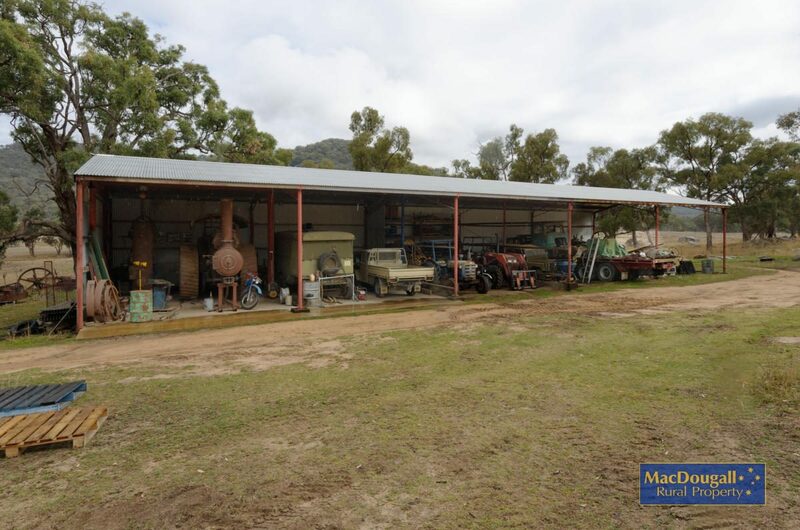 A set of steel sheep yards is adjacent a shed equipped with a single stand shearing plant. 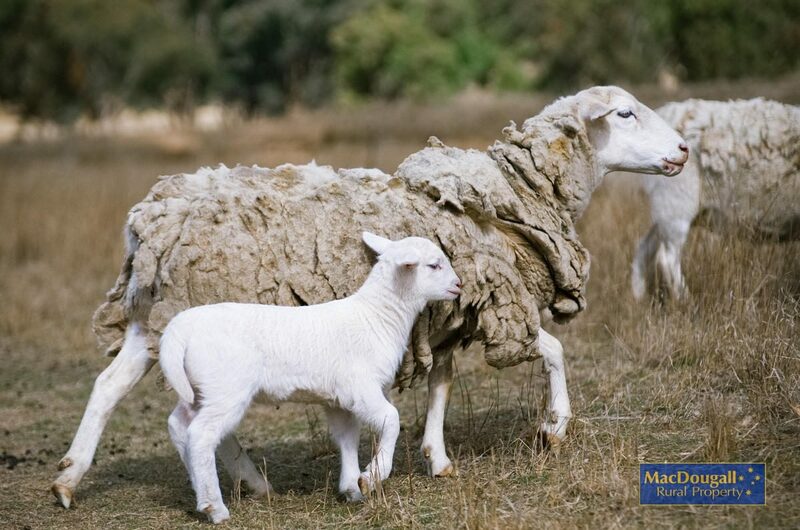 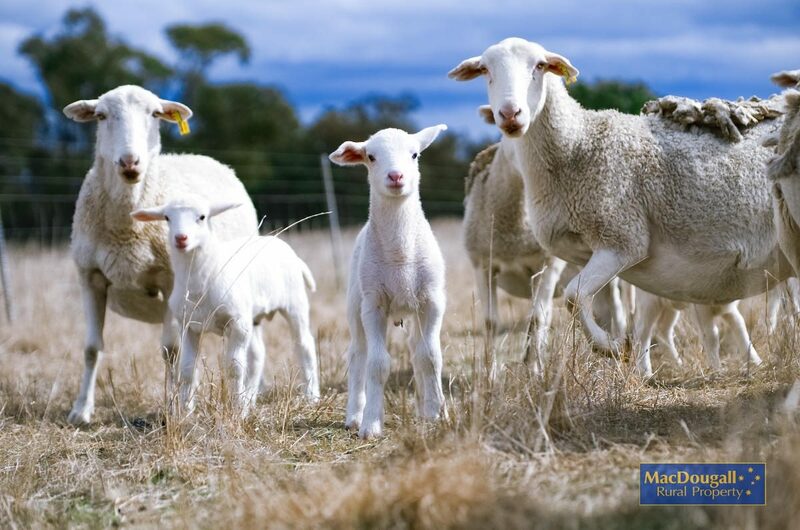 The current owners run dorpers, so the shearing gear is not being worn out! 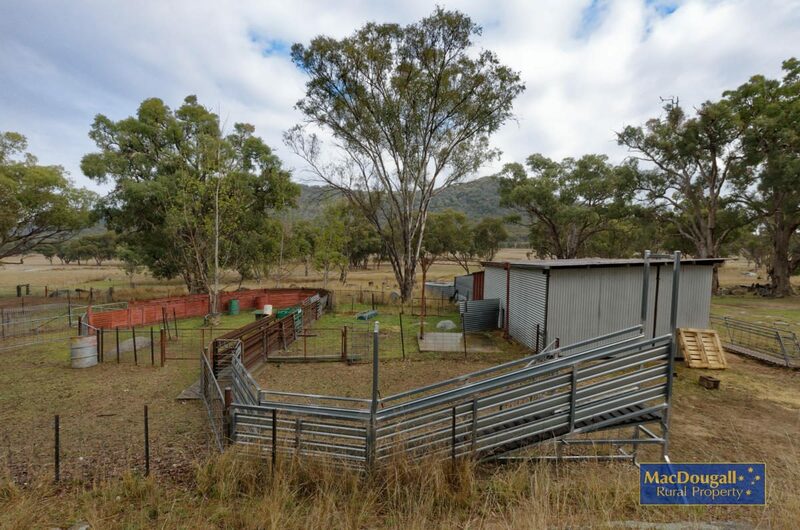 Another set of yards incorporating sheep yards and cattle yards are located further out in the paddocks. 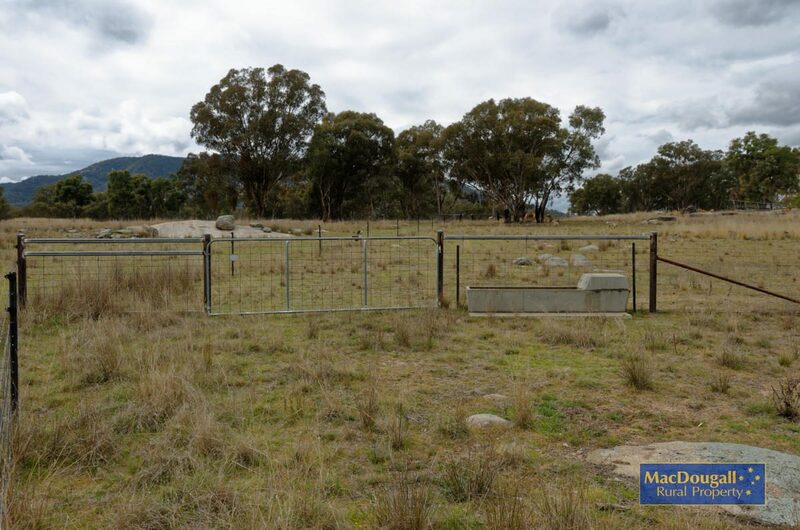 Fencing in all the front grazing area is excellent; mostly well maintained hingejoint with electrity, plus steel gates and posts. 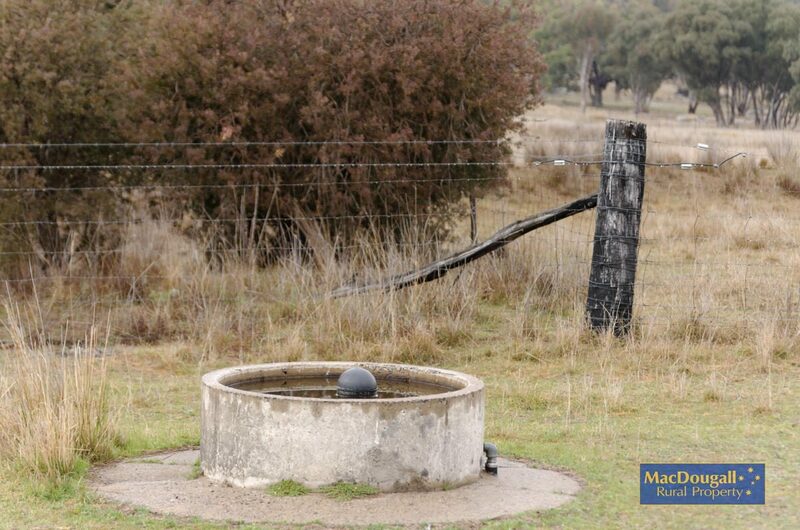 Some maintenance is required on other fence lines, but nothing major. 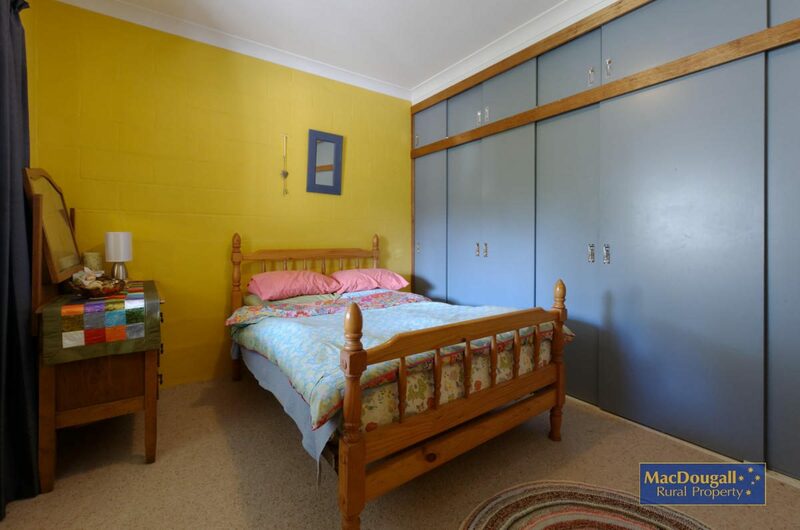 Boundaries are all secure. 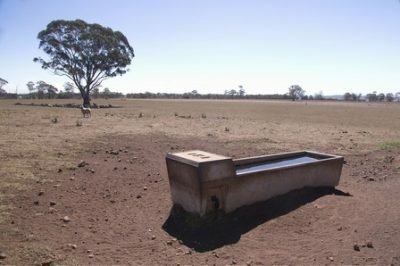 Water is reticulated from dams to tanks then on to troughs. 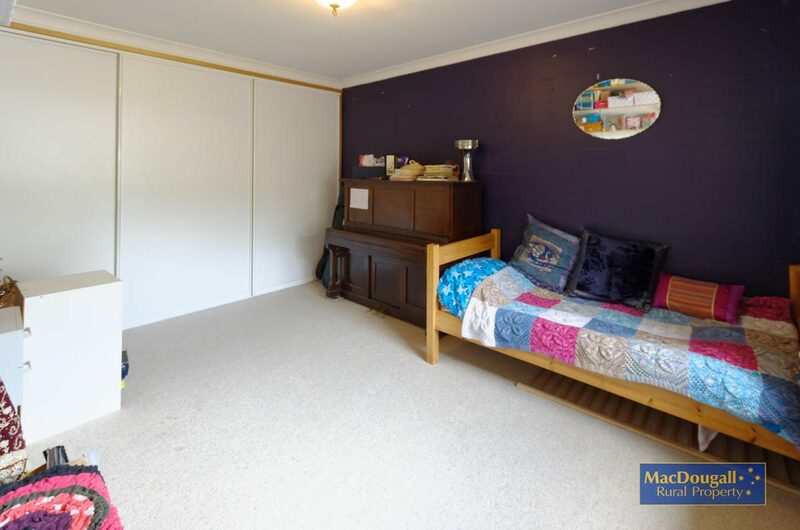 The is a bore which is currently unequipped. 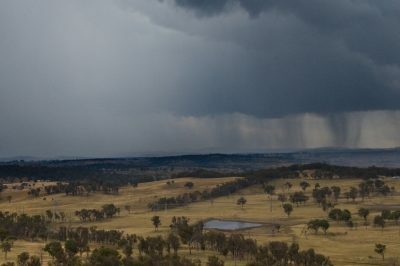 District rainfall is in the order of 750mm per annum. 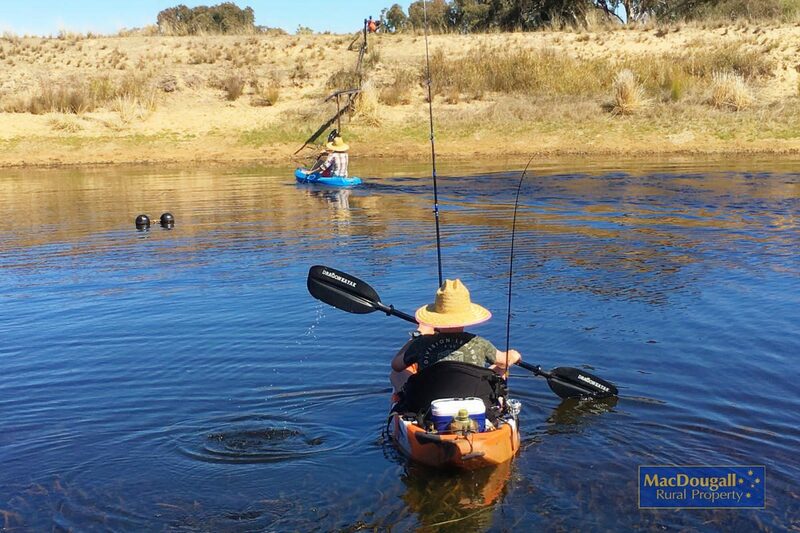 As you see in the photos, a couple of the dams are large enough for the kids to drop a kayak into. 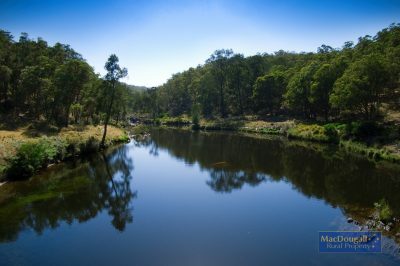 Nearby, the Gwydir River provides endless hours of fishing and swimming. 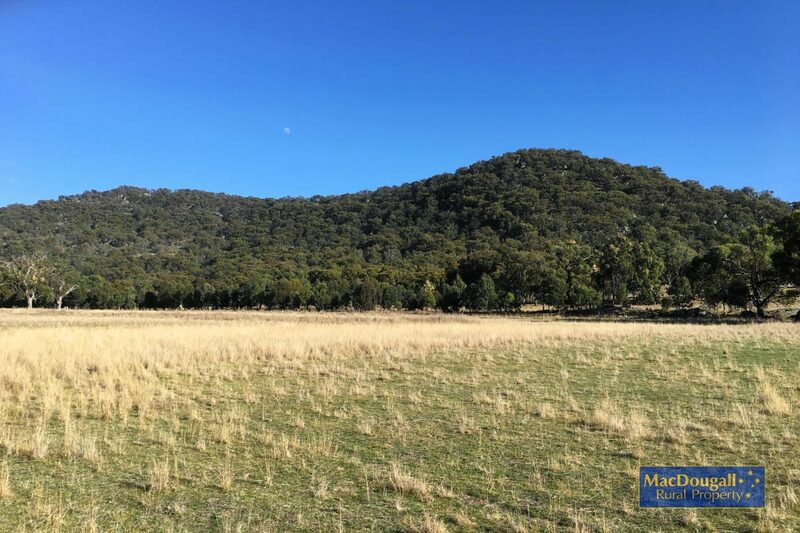 On the property itself, there are the mountains to explore; roam around or just find solace in one of the many magical spots that lookout for miles across the surrounding farms and bushland. 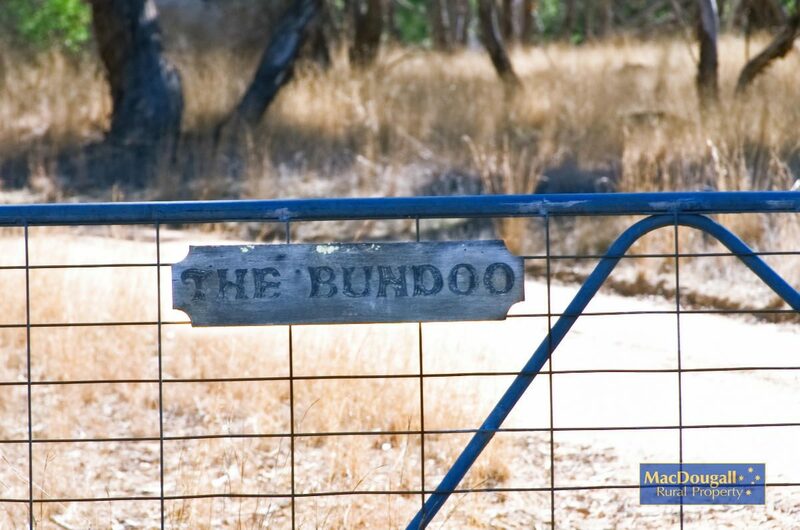 “The Bundoo” will appeal to anyone seeking rural lifestyle and adventure. 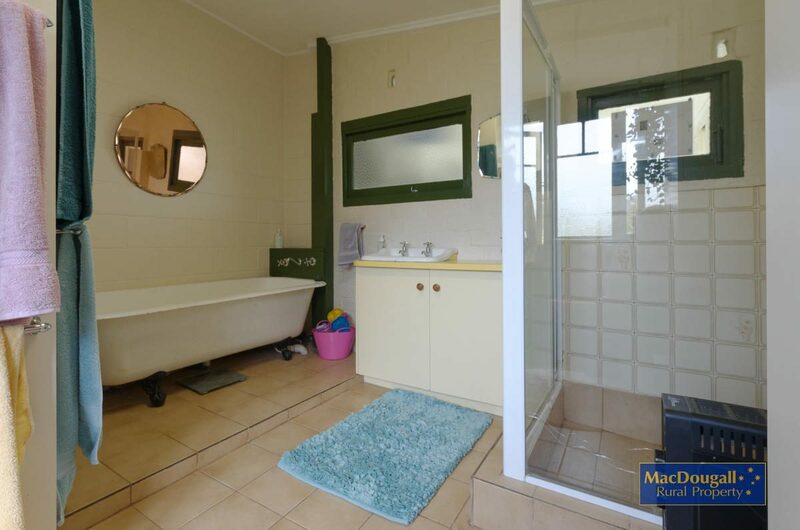 While it is most certainly not a sterile environment, the infrastructure is excellent. 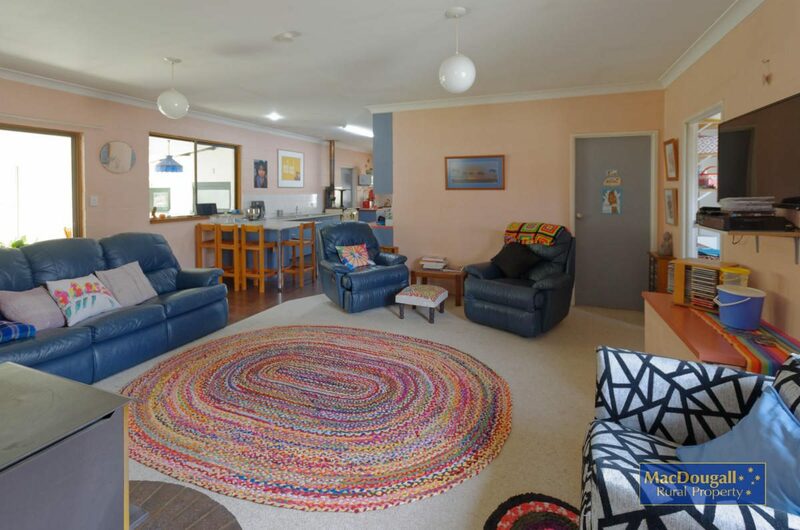 The property offers so much it has to be experienced to be fully appreciated. 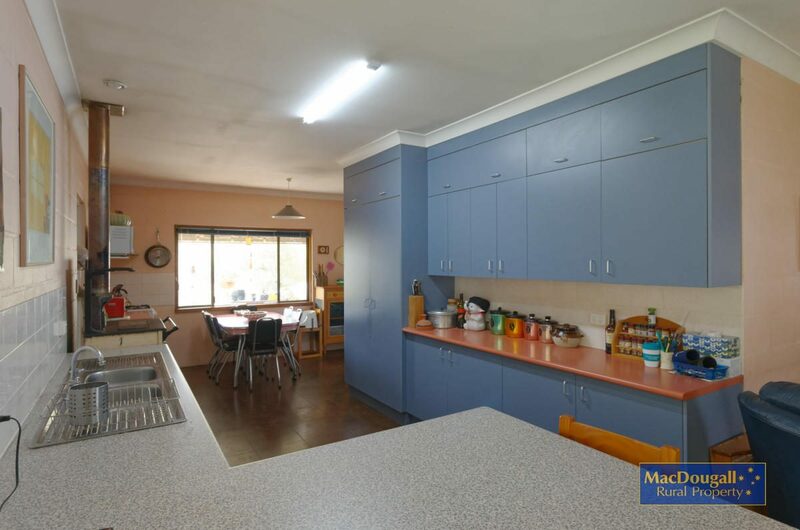 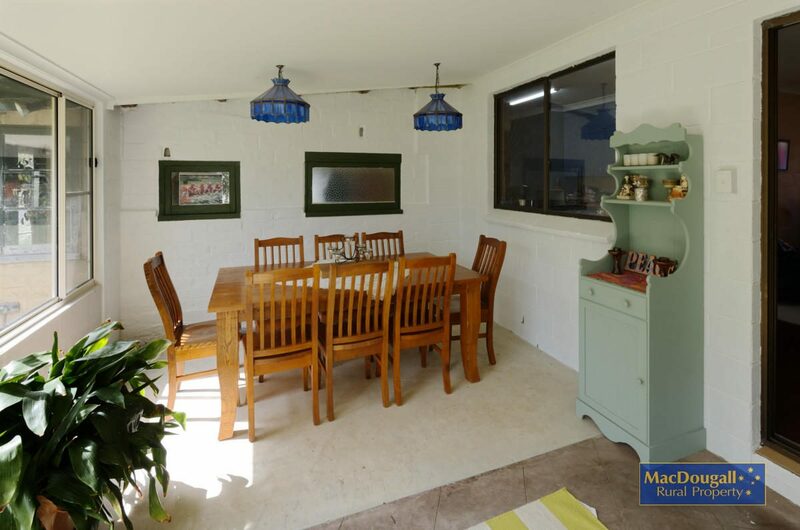 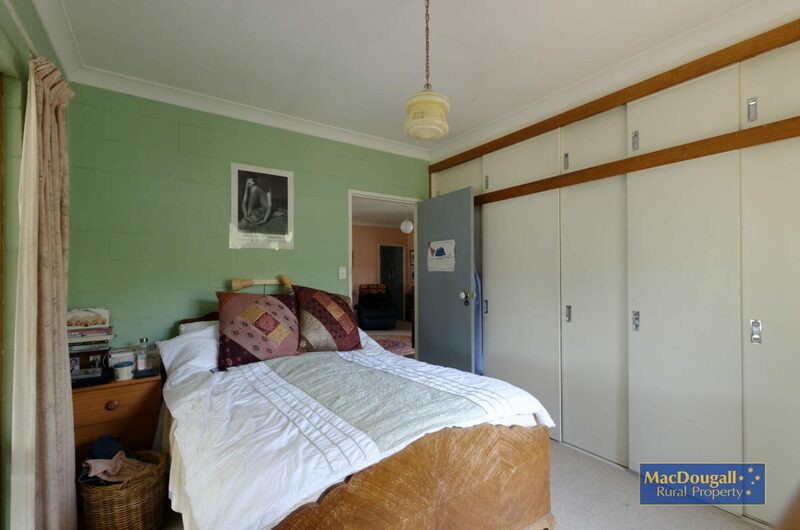 For further details or to arrange an inspection of “The Bundoo” call Graham MacDougall on 02 6772 4200.